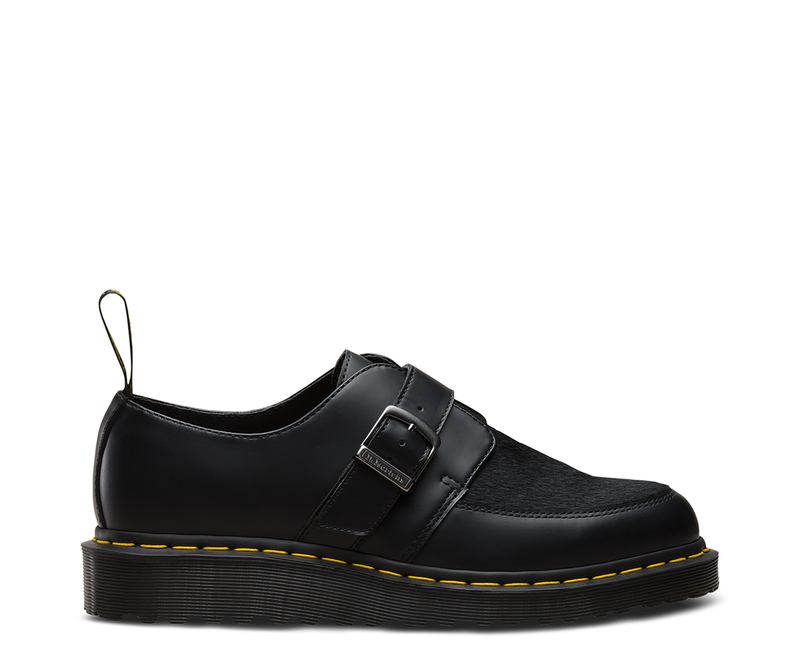 You know the Ramsey creeper, now meet the Ramsey monk. 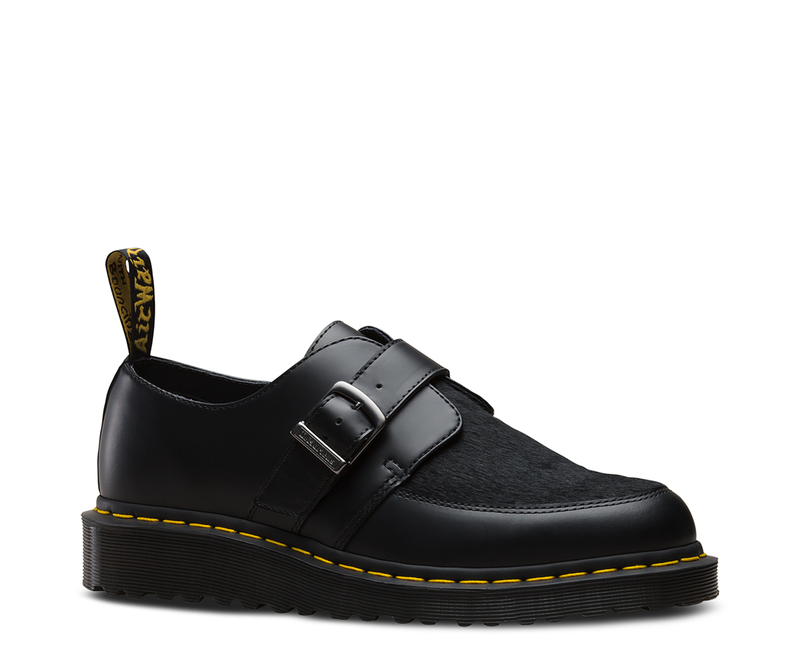 Updated with a contemporary monk strap and Italian hair-on leather panel at the vamp, this style demands to be seen. 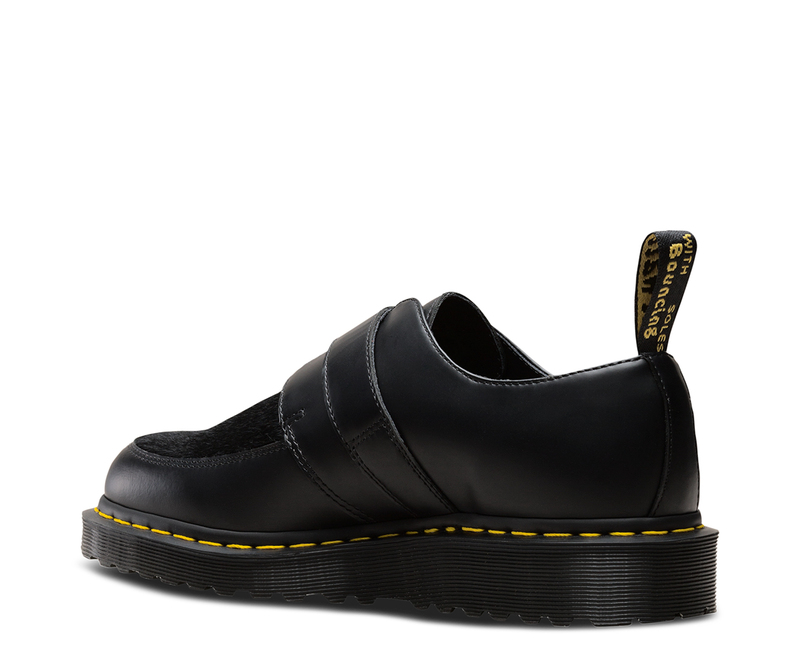 Core Docs DNA is present in the form of an AirWair™ heel loop, yellow welt stitching and a wedge sole. 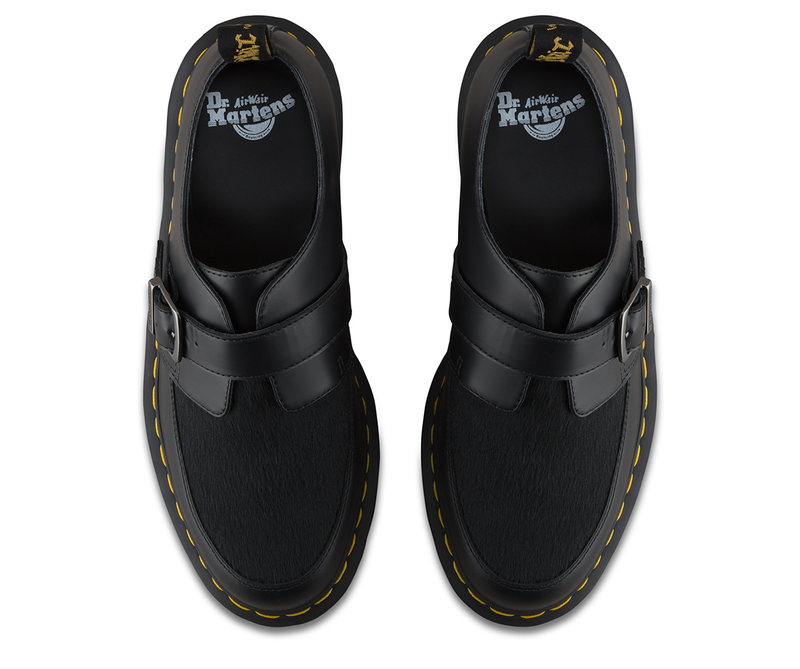 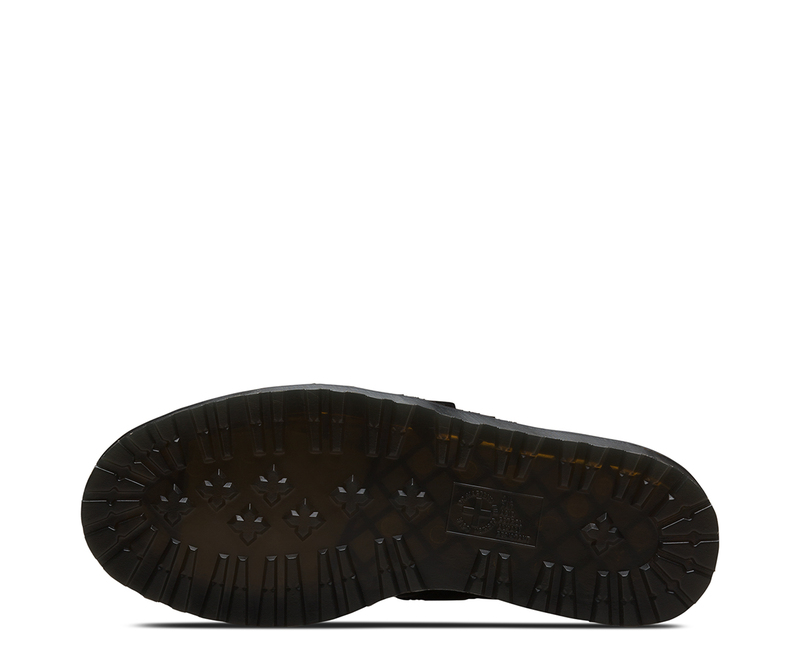 Built on the iconic Dr. Martens air-cushioned sole, which is oil and fat repellent with good abrasion and slip resistance.